Laundered Linen Sky Throw. 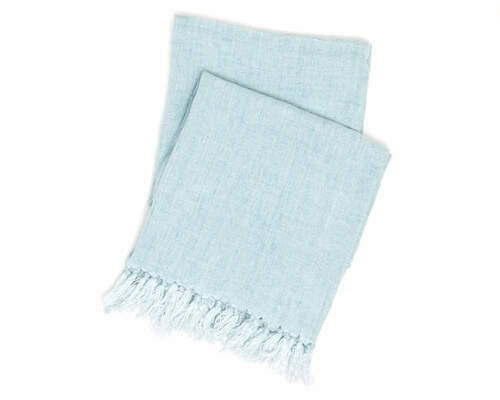 Looking for a supersoft, super vibrant take on the linen throw? Wrap yourself up in this substantial-weight beauty, with fringed ends. Enzyme washed; natural color variations may occur. Dimensions: One Size 50" x 70"